John is a Systems Design and Integration Specialist at an IT department for a major corporation. John developed and videotaped over 100 videos to cover the Art of Linux System Administration for people to prepare for the LPIC-2 Certification exams for O'Reilly Media, released July 2016 - http://shop.oreilly.com/product/0636920050209.do John has worked for at least seven Fortune 100 companies as a UNIX/Linux Systems Administrator, Systems Analyst, Programmer, Circuit Designer, Equipment Engineer, Electronics Technician, Technical Instructor, Mechanic, and served in the US Army Signal Corp as a Staff Sergeant (E-6) in the Cryptography Repair (MOS codes: 32F, 31T, and 31S) . John was a TSEC KG-13 instructor in the 32G course at the US Army Signal School. John enjoys photography, Diesel Jeeps, and studying Biblical prophecy. John has worked at ITT Tech, Intel, Intermec (Honeywell), AT&T, T-Mobile, Western Wireless, Boeing, Merck, and several training/educational institutions. John graduated with a Master of Science in Technical Management (MSTM) from Embry Riddle Aeronautical University, from the University of Maryland with an AA, and BSc, from Central Texas College with an AA, and from the US Army Signal School (Fixed Ciphony Equipment Repair, Instructor Training Course, and Principles of Counseling - MOS 32F3H). John is listed in Who's Who since 1987 including Who's Who in the West, Who's Who in Science and Engineering, Who's Who in American Education, and Who's Who in America. 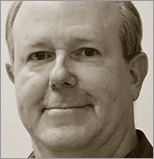 John has taught at: ITT Technical Institute, the US Army Signal School, City University of Seattle, Central Texas College Overseas, Georgia Military College, Boeing Computer Services (BCS), Prosoft, New Horizons Training Centers, Everett Community College, and private/corporate training locations nationwide. Contact John for customized Linux training.